Any group of people that share something in common can be considered an entity, i.e., a living being that has an identity – just like any human being. This identity of the group as a whole, that defines the shared values of that group, is called an ’egregor’. People form groups (therefore, egregors) in the name of many common goals and ideals. The most important feature of an egregor is that it has a tremendous power (which is much more that the arithmetic sum of the power of people who belong to it). Moreover, a person who is aware of his belonging to this egregor can create a conscious psychological link between himself (herself) and this power of the group, and draw energy, inspiration and moral support from the egregor. This is like a personal computer that is linked to the internet (which is a sort of a computer-egregor): all of a sudden, this computer has access to information that before was way beyond its grasp. Egregore (also “egregor”) is an occult concept representing a “thoughtform” or “collective group mind”, an autonomous psychic entity made up of, and influencing, the thoughts of a group of people. The word “egregore” derives from the Greek word, ἐγρήγοροι (egrégoroi), meaning “watchers” (also transliterated “grigori”). One of the strongest ties inside such a group is language, therefore one of the most important and powerful group that we all belong to is our nation – the group of people who lives in the same country as we do. Each such group has its specific trait as a group, just as each human being has its specific personality that is unique. At a deeper level, just as the human being has a soul that defines his true and stable identity, an egregor also has a soul which defines the deep ‘identity of similarity’ of all the people who belong to it. This fact does not give any chauvinistic license for excessive or blind nationalism – on the contrary it emphasizes the importance of acknowledging and accepting the inherent differences between nations, understanding them at a deep level and helping each other in the relations between national souls, exactly like in relations between human souls. In this vision, any egregor (group or nation) has its own consciousness, mind, emotions, will power, free will and destiny as a group-entity, which develops just like human beings develop. The Icelandic people form such an egregor. 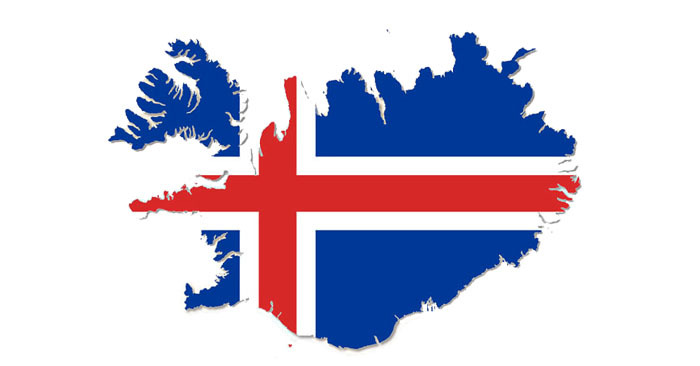 The Icelanders live in an area relatively close to the North Pole, which in the spiritual traditions of this planet has always been considered to be a source of esoteric teachings. In ancient times, this spiritual center of the North was called Thule and was located in the northernmost part of the habitable Europe, mysterious place connected with all the spiritual traditions of our planet, direct access point to Shambala – the spiritual center that governs the evolution of consciousness on planet Earth. The ancient Greeks knew that Thule was populated by Hyperboreans – spiritually evolved people who live beyond the north wind in a region of perpetual sunshine that is hidden from the eyes of intruders. Most of all, for us today, Thule is a metaphor of the spiritual heritage of our planet. This vicinity to the (spiritual) North pole directly influence the characteristic traits of the soul of the Icelandic nation – of which the most obvious are a highly developed intelligence and a striking nobleness and beauty of the features of the body and face. Unfortunately, most Icelanders nowadays do not know the story of the (spiritual) Thule anymore and therefore are unaware of their huge spiritual potential. But with the right guidance, this nation can gradually become aware of its spiritual heritage and learn to use it for the benefit of all peoples on the planet. For this purpose, it is absolutely necessary that the Soul of the Icelandic nation is taken out of its sleep of ignorance. This can be done through yogic techniques of synchronized meditation that are organized every other Sunday at NATHA YOGACENTER. These meditations are guided by our qualified teachers and are free and open for all.